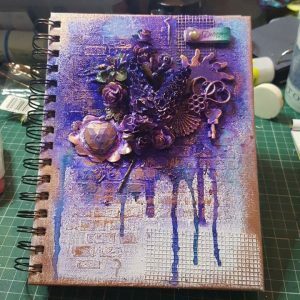 This week Sy is introducing the method of using multi medium materials to decorate the front cover of a canvas notebook. This will be the focus of one of our Girl’s Night In events later in the year, so do keep an eye out on our calendar and Facebook page. Watch the process in the video below. Sy takes you through every step of the way.